Students want to connect what they learn in the classroom to work-related, career contexts, and employers are increasingly demanding graduates with practical experience and global competency. Launched in March 2017 in consultation with the VP International, Vice-Dean Undergraduate and International, Centre for International Experience, Centre for Community Partnerships, and other offices, iPRAKTIKUM is an Experiential Learning (EL) and Internationalization initiative that addresses these needs. By creating an architecture to support placements with local organizations and business subsidiaries from German-speaking countries, as well as international opportunities, iPRAKTIKUM facilitates high-impact experiences in structured learning scenarios designed to develop intercultural competence, a profound grasp of global environments, and real-world work skills. iPRAKTIKUM bundles in a coherent and sustainable structure an array of EL and internationalization opportunities for students across humanities and STEM disciplines. Our initiative 1) advances curricular goals of global fluency and critical thinking, 2) builds on existing capacity inside and outside our unit, and 3) harmonizes with the EL and internationalization framework being pursued on the university and ministry levels. iPRAKTIKUM 1) leverages our location by tapping into the over 90 German subsidiaries in the GTA and reach out to community groups, schools, and NGOs, 2) boosts knowledge transfer by partnering with cutting-edge businesses and organizations, 3) reimagines undergraduate education by moving outside the university to engage our global present and facilitate the transition from study to a career. We are currently in the development phase, funded in part by ATLAS, and are running a local pilot with the University of Toronto Schools (UTS). as a course in conjunction with GER 391H “iPRAKTIKUM Experiential Learning and Internationalization Internship”. in a custom format according to the needs of students and hosts. 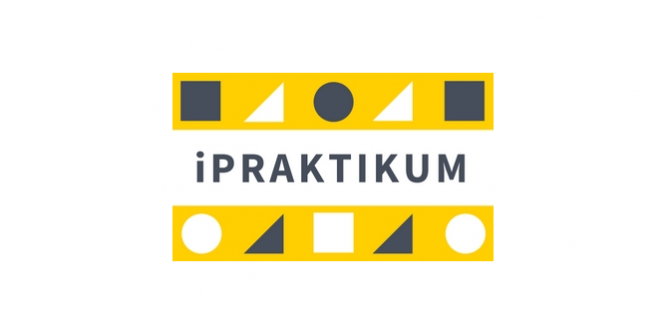 Students: Browse our current iPRAKTIKUM opportunities and apply. Organizations & Companies: If you would like to host an iPRAKTIKUM internship, please get in touch with us at iPRAKTIKUM@utoronto.ca.